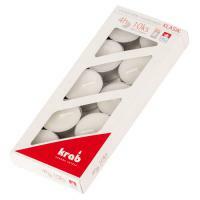 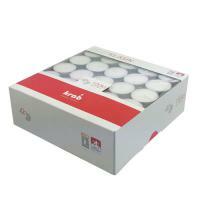 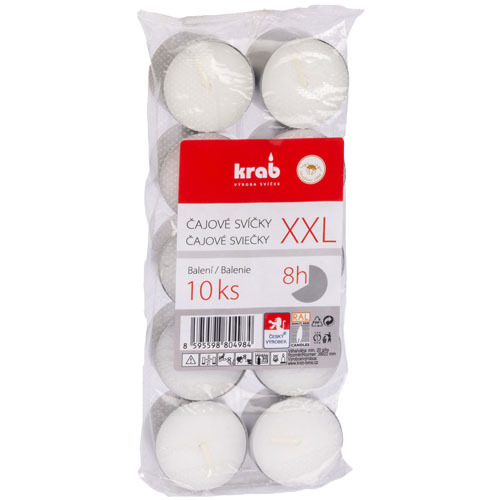 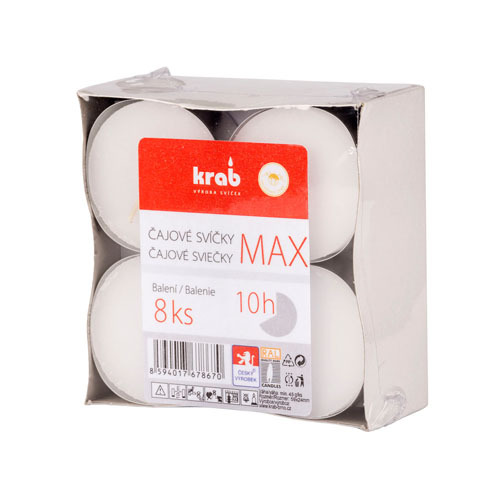 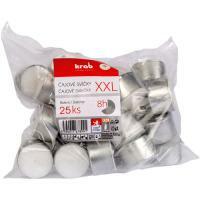 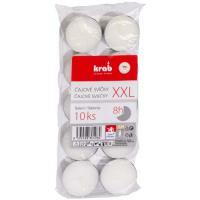 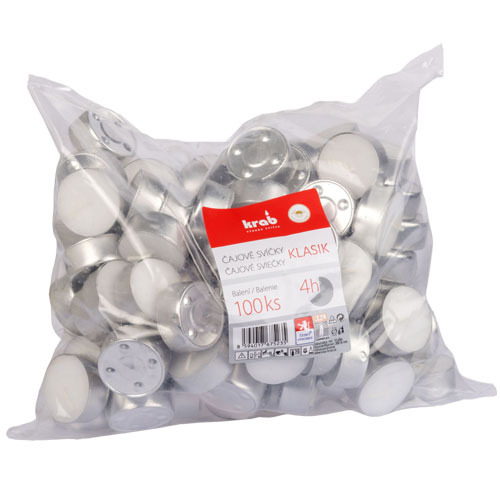 Tealights - KRAB BRNO, s.r.o. 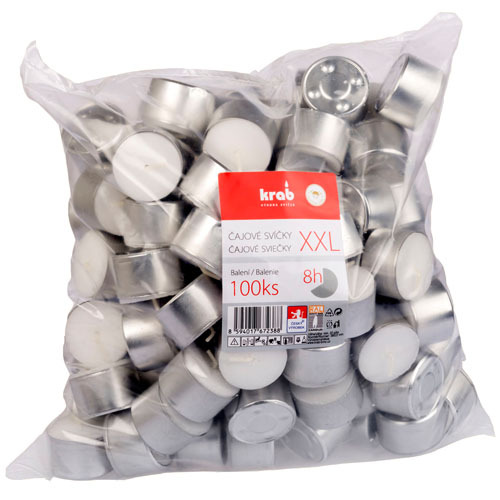 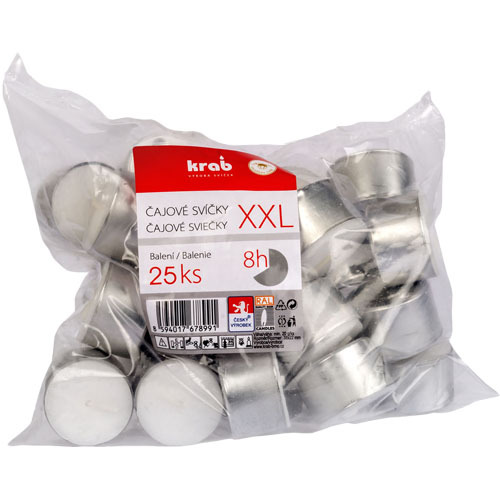 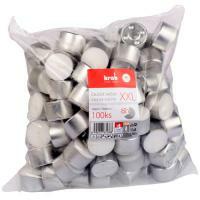 We produce tealights in high quality according to the European RAL quality certificate which we are holder of. 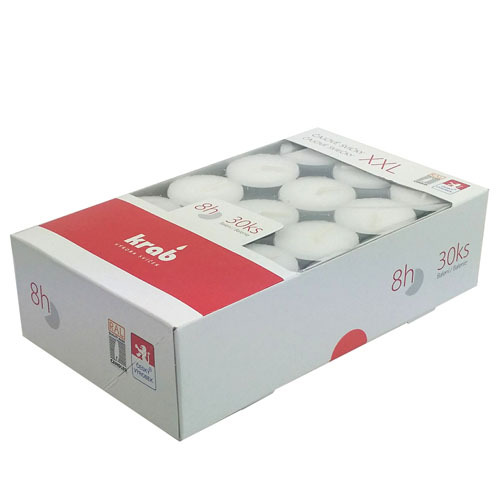 These candles are made from first-class hydrogenated paraffin and they are standardly produced with burning time of 4, 8 and 10 hours.